A Golden Autumn for MEJS – Medals galore! Leaving a busy, but weatherwise golden October behind us in the sunny south of Palatinate, we now enjoy the glamorous gold of a different kind: the rain of medals. 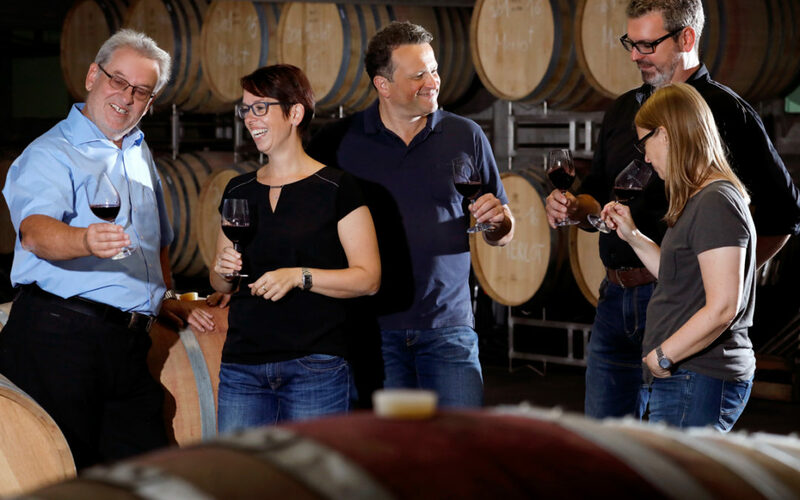 As every year, we are curious to know, what international experts think of our wines and it makes us more than happy that our hard work is recognized. We are proud of having been awarded with 15 gold medals and 21 destinctions in silver in different competitions. 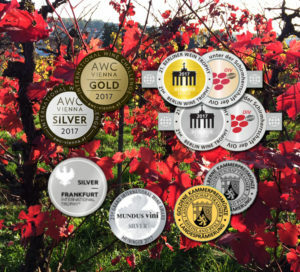 A special honor to us, is the recognition of our region, the Pfalz – or Palatinate – by the jury of the Big International Wine Prize ‘MUNDUS VINI 2017’ as the quality-wise leading region of Germany, to which MEJS has been able to contribute 8 medals. A wonderful motivation for our current work on the next vintage. It’s time to celebrate! Celebrate with us by enjoying one of our awardwinning wines. The complete list of awards can be downloaded here as PDF . Great results for Villa Grünberg! 3 x Berlin Gold!